I fell in love with Inuit Art so many years ago after taking a retail position in a Sausalito Store called The Quest of Sausalito... Its owner, a Canadian who ran a shop which offered California art, jewelry and crafts also had something quite unique: Canadian Inuit sculptures. It is thanks to him that I discovered my passion for the art form and its people. Some time later, I came to Images of the North, a gallery originally established in 1979. Over the years, we have produced exhibitions ranging from solo sculpture shows, lectures and cultural performances as well as group and theme collections. We also very much enjoy presenting the annual Cape Dorset Print Collection, now in its 59th season. 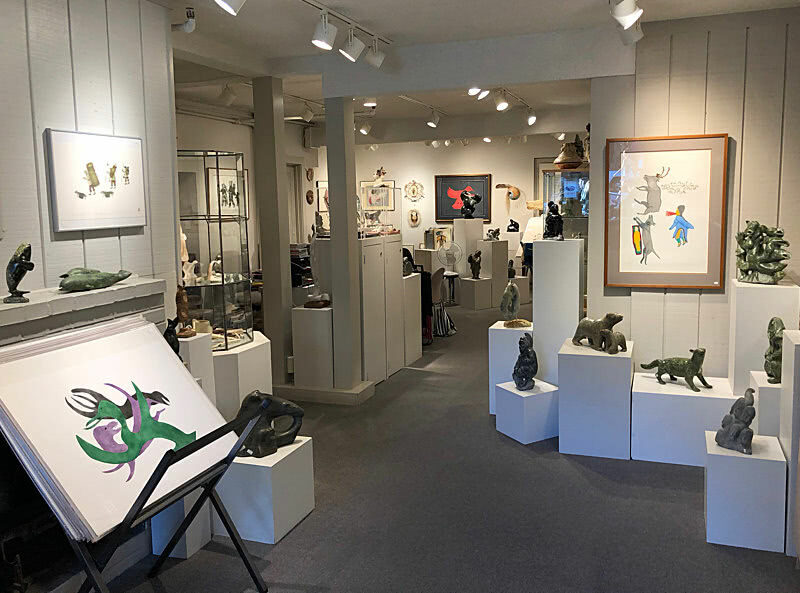 The gallery, one of the remaining purveyors of Inuit Art in North America, represents all areas of the Arctic including sculptures, prints and masks by both well known and promising new artists ranging from exquisite miniatures to important works of art — all museum quality. We pay special attention to making sure that we have pieces for all budgets and interests. "We provide Appraisals, Restoration Referrals, Consignments & Sale of Inuit Works"
"We enthusiastically seek Early Works for Exhibition & Sale"
© 2012 - | Images of the North. Designed by BrandBAR SF.